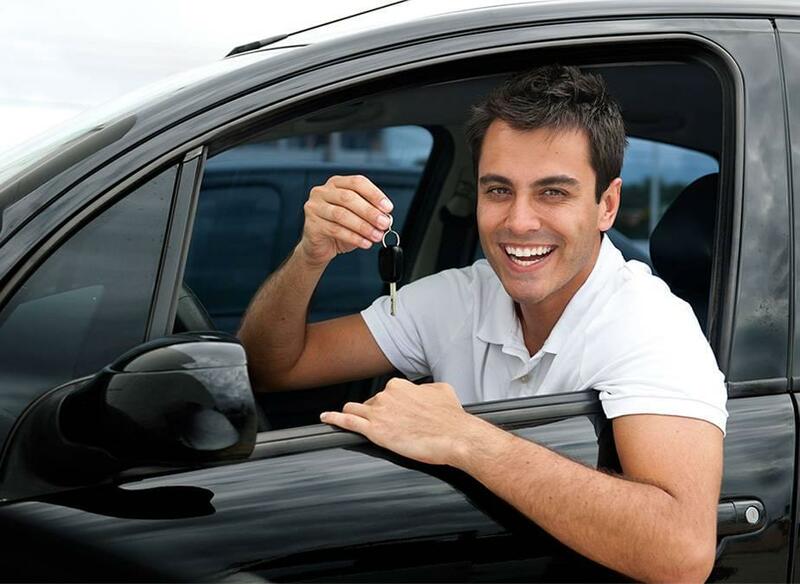 If you live in the Chippewa Falls, Wisconsin area and have been turned down for a car loan in the past, don’t worry – CarHop will work hard to get you approved and driving, even if you have bad credit! Open since 2012, our team is eager to help you like we’ve helped so many other Chippewa Falls residents get a great used car! Very Awesome ladies. Loved to process. In and out in 1 hour with my New car! Great customer service from Makenzie and Jean. Thanks again! Update: I have returned to CarHop and received excellent service!! They are a great place to get a vehicle from, they truly care about their customers and help them to the best of their ability! 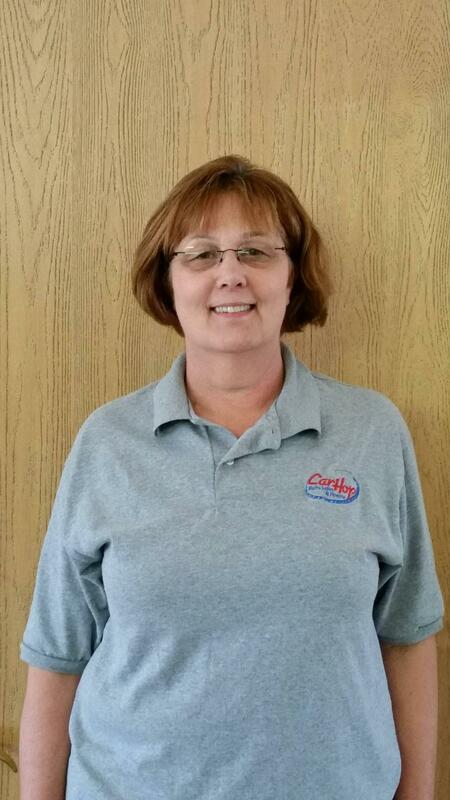 I would recomend CarHop 1000 times over and I will return here on getting my next vehicle! Thank you CarHop you truly are amazing! CarHop got me a car I didn't think I was going to get! They helped me when I needed most. Will most definaltley be returning when I need another car!Update: CarHop helped me get into the SUV i needed! Had a great experience. Even with my bad credit I was able to be approved for a vehicle. I had a number of options to choose from felt like I was able to get what I wanted! With public transportation options being so limited in Chippewa Falls, it’s no wonder that most people opt to drive their own car to run errands and to get to and from work or school. 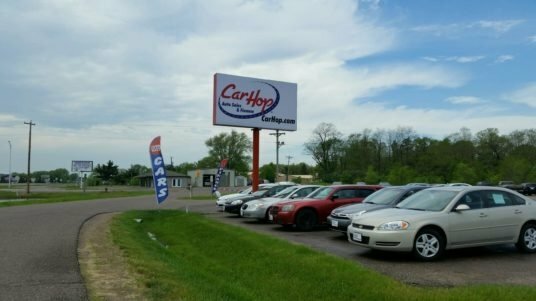 Here at CarHop, we can help you get an affordable car, truck, or SUV, so you’ll have the freedom to travel where you want when you want in order to take full advantage of all Chippewa Falls has to offer. As a leading used car dealership in Chippewa Falls, we offer a wide variety of quality used vehicles for drivers from Eau Claire to Bateman, and with our Buy Here Pay Here financing, you’ll get the budget-friendly deal you’ve been looking for. Review the limitations of available public transit options in Chippewa Falls, then come see us! Shared Ride Transit Program: An on-demand door-to-door transportation service is available within the city limits. To schedule a ride, you’ll need to call 715-723-3000 at least an hour in advance. You will need to allow for delays due to route deviations, inclement weather, or how busy the service is at peak periods in order to get to your destination on time. Fares range from $2.75 for adults to $1.75 for seniors and students between the ages of 5 and 18. If the driver has to wait for you, you are charged 25 cents for every minute up to 10 minutes. Anything over 10 minutes will result in an additional fare. While the door-to-door concept seems more convenient than the traditional bus service, the added time to schedule, along with the unavoidable delays, make this service less than desirable for most Chippewa Falls residents. Greyhound: The Greyhound bus service is available at the Mega Holiday Station Store at 2750 120th Street. There is no station, so you’ll have to wait for the bus at curbside. While Greyhound could be an option if you are traveling out of town, it doesn’t provide service within the city. Amtrak: There is no Amtrak station in Chippewa Falls, but there is a train stop at the Mega Holiday Station Store at 2750 120th Street. You will need to arrive 15 minutes before the train arrives, and there is no shelter while you wait. Similarly, Amtrak can connect you to surrounding cities but is unfortunately of no use for local travel. 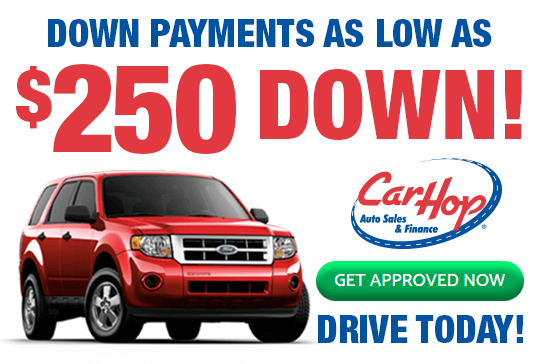 At CarHop, we make it easy for you to get the competitive financing you want. Regardless of if you have bad credit or no credit, we can still help you secure a loan that will work with your budget. In our inventory, we offer a wide variety of gently used vehicles, all affordably priced and ready for you to drive home to Albertville or Eagle Point today. Plus, all of our used cars are backed by great warranty coverage, and with our 7-day satisfaction guarantee, you can be sure that you’ll get the used car that is the best fit for your needs. Why wait? Enjoy the freedom and independence that owning your own car provides by visiting us at CarHop of Chippewa Falls today!